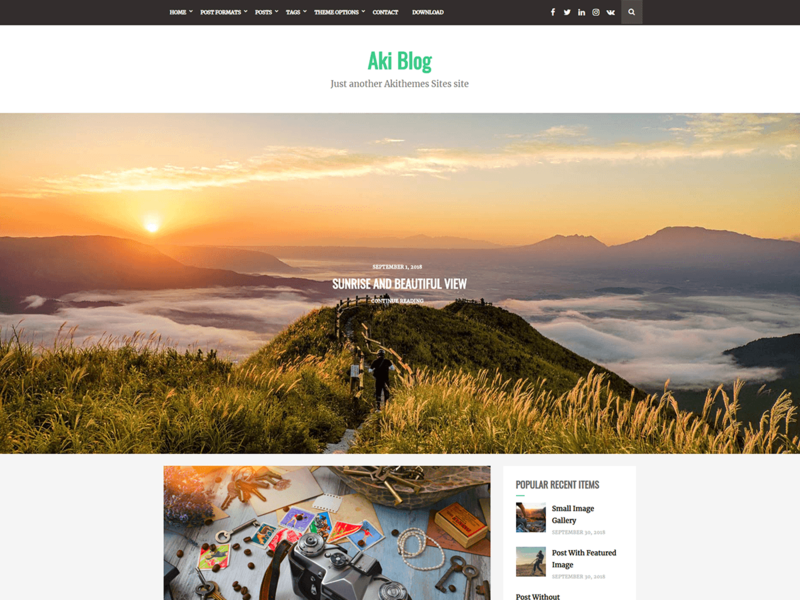 Aki Blog is simple, clean and elegant Free WordPress Theme for your blog site. This theme comes with slider, magonary layout, double column,copyright options and social options and many more features. In addition this theme has added custom widget for recent post, author and social menu. Use this awesome WordPress theme for your blog site, you will never look for alternative.